A uniquely inspired bridal set features a Guinevere puzzle engagement ring with an Irish claddagh wedding band. 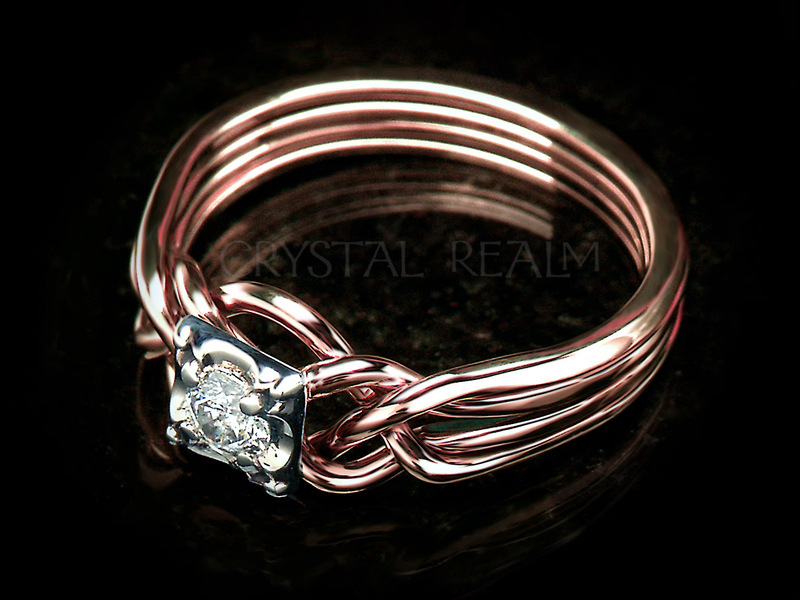 Both the knotwork weave of the genuine puzzle ring along with the weave knots of the band reflect your interconnectedness and the endless nature of your love. And of course! 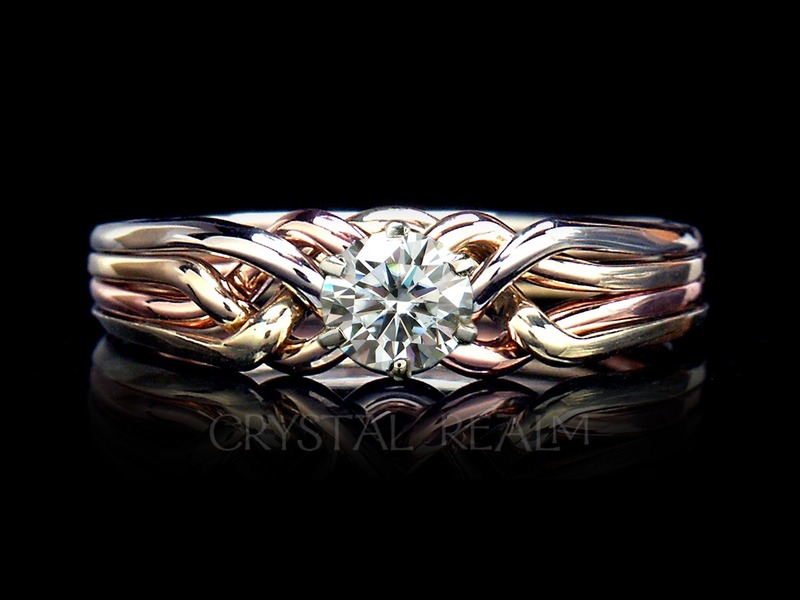 The claddagh band proclaims, May love and friendship reign. You will have fun learning to assemble the puzzle ring using our video, animated, and written assembly instructions under a link below. 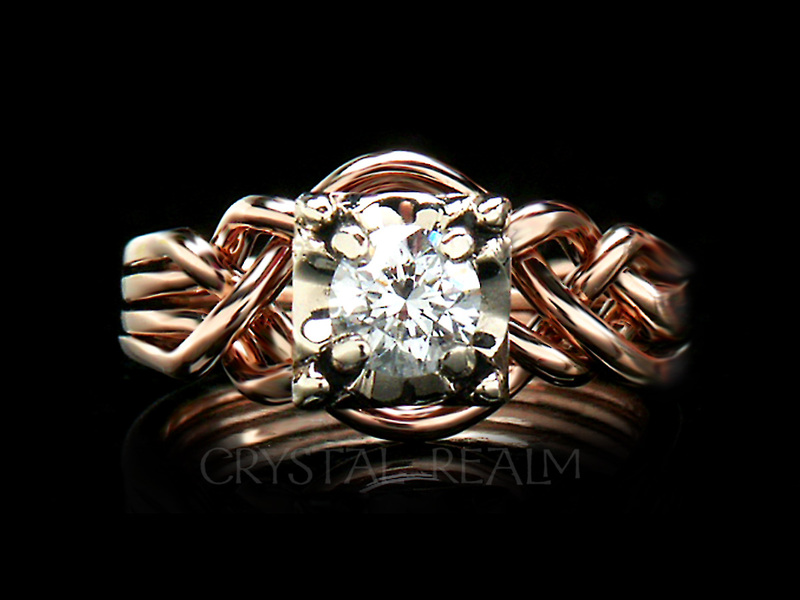 Your puzzle ring will be hand woven by our brilliant puzzle ring artist who will weave your ring to order, creating it to hold the very stone you select. 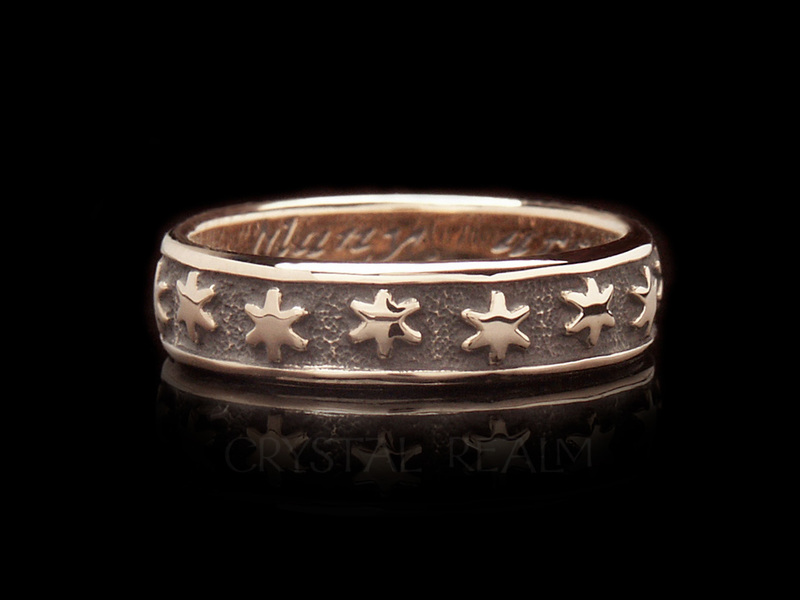 We pair this ring with the Irish claddagh band made in Dublin, Ireland. Blue diamond: This set is shown with a blue princess-cut diamond approximately 1/2CT in size, which may range from 0.45CT to 0.53CT. 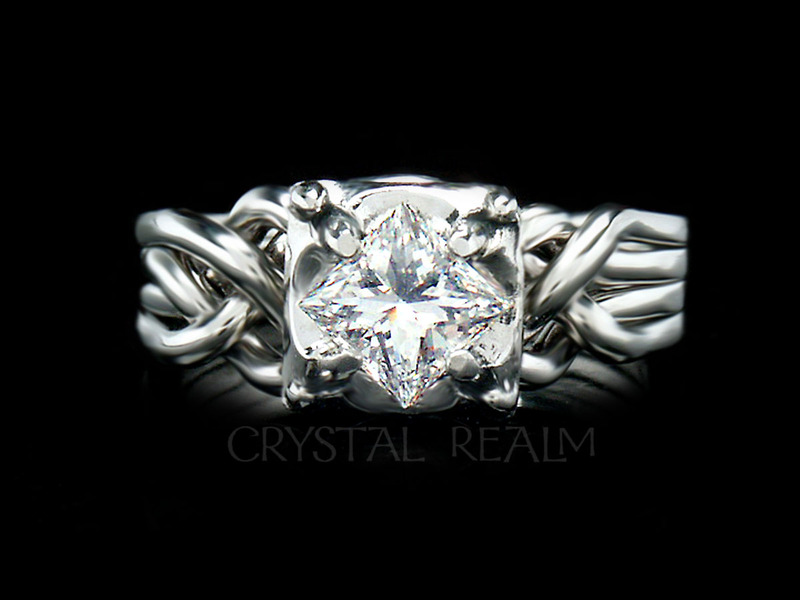 For another size, please contact us for an individualized quote. 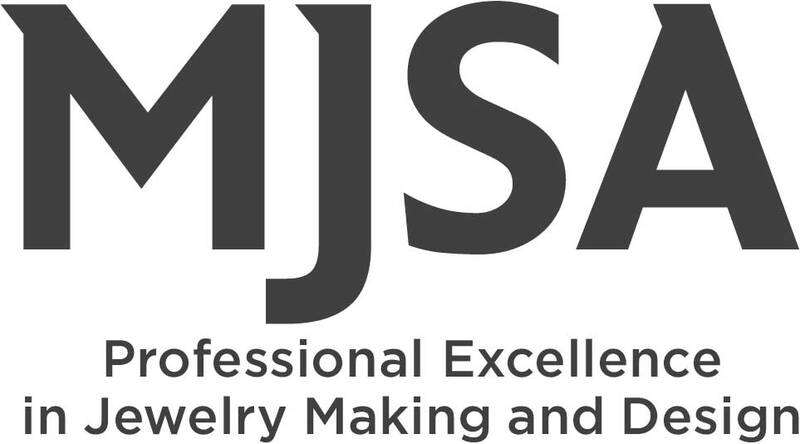 Precious metal: This set is shown in palladium, a white, platinum family metal. 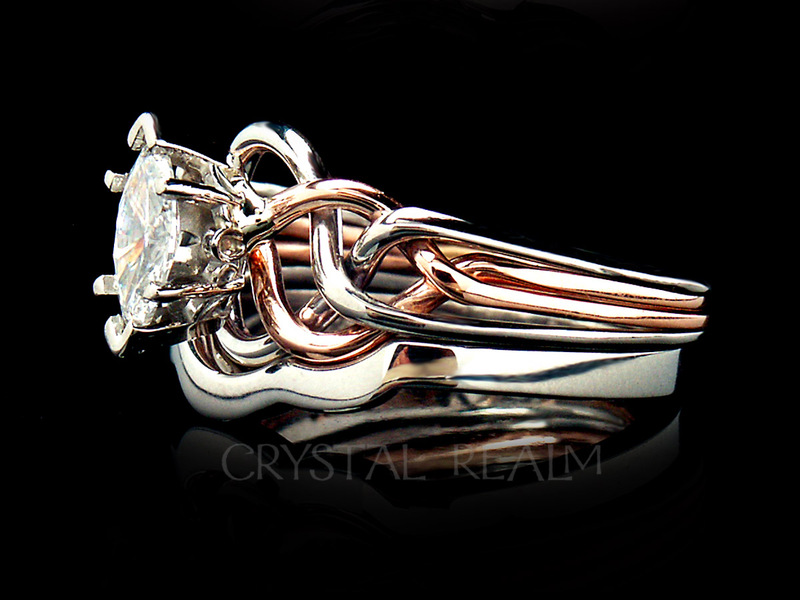 This set is available in 14K yellow gold with palladium or white gold settings but is not available in all 14K white gold or 14K rose gold. You may select platinum, if you prefer. Sizes: Whole, half, and quarter sizes 3.5 to 9. Other sizes upon request. 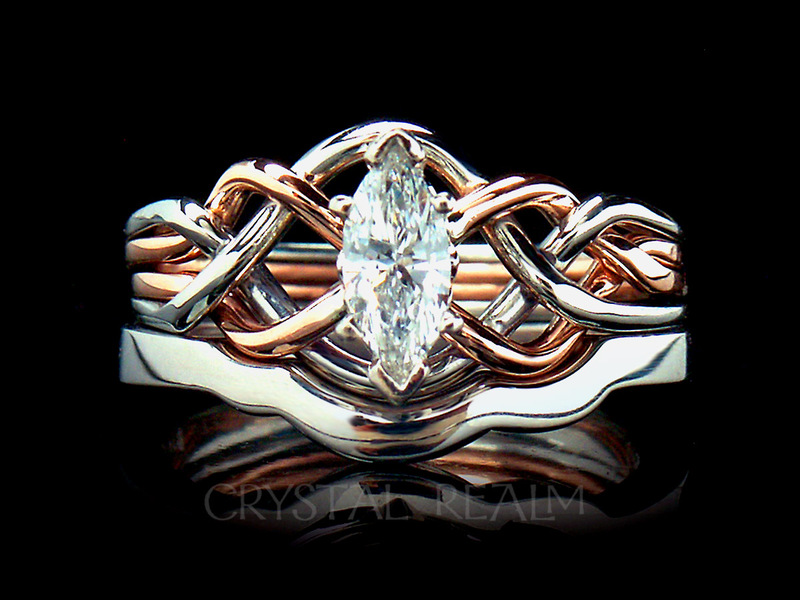 The Guinevere blue diamond puzzle ring is artisan-crafted in the U.S. and is exclusively offered by Crystal Realm. The claddagh band is hand-made in Ireland and is hallmarked by the world-renowned Dublin Assay Office in Dublin Castle, the oldest continuously operating assay office in the world, since 1637. 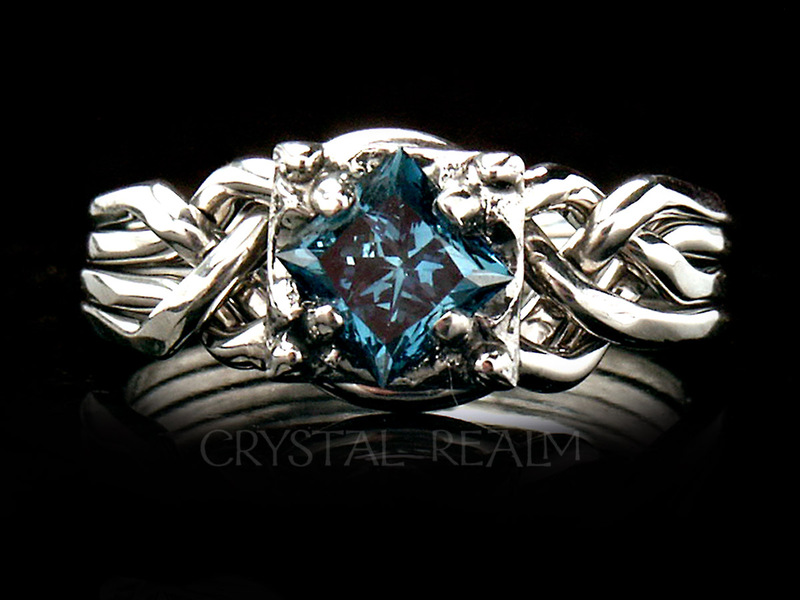 Blue diamonds, even the treated ones we carry, are tricky to find. 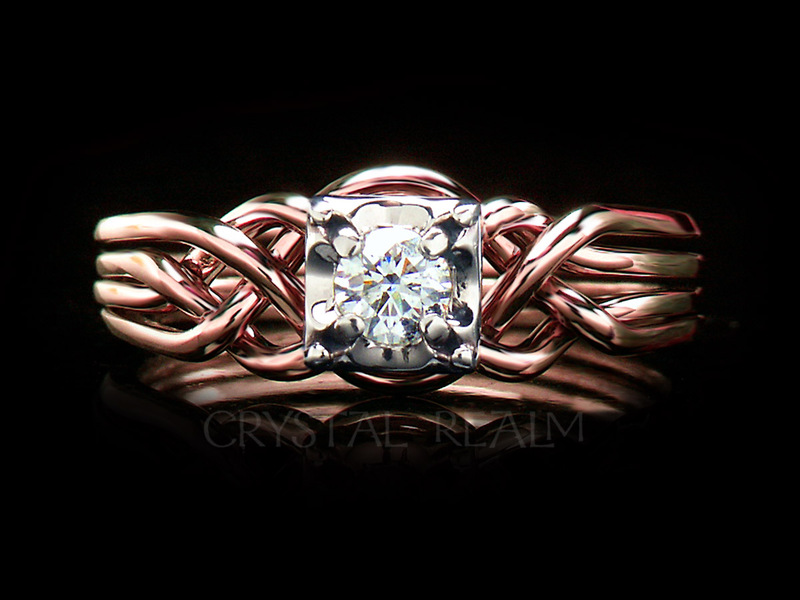 When you order a blue diamond ring, we will begin the search for the blue diamond that we will hand-select for your ring. 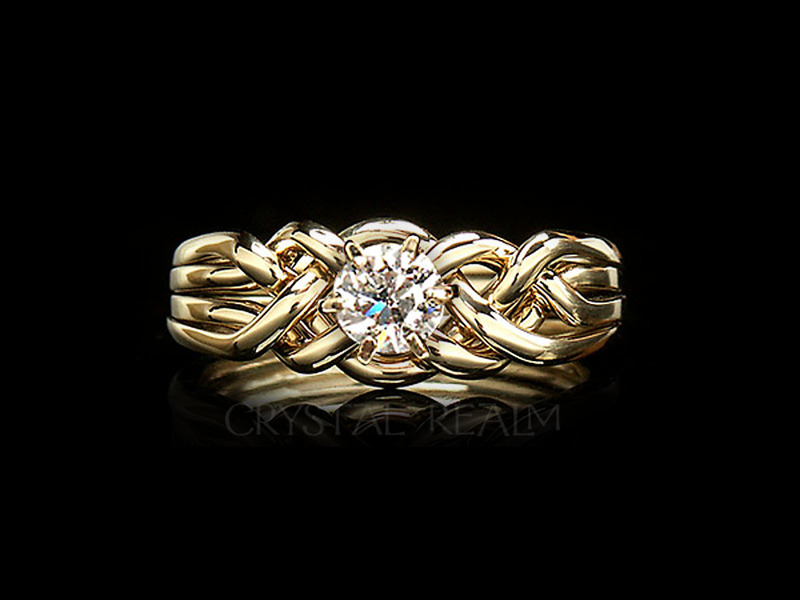 Please allow 6-8 weeks for delivery of your blue diamond ring. 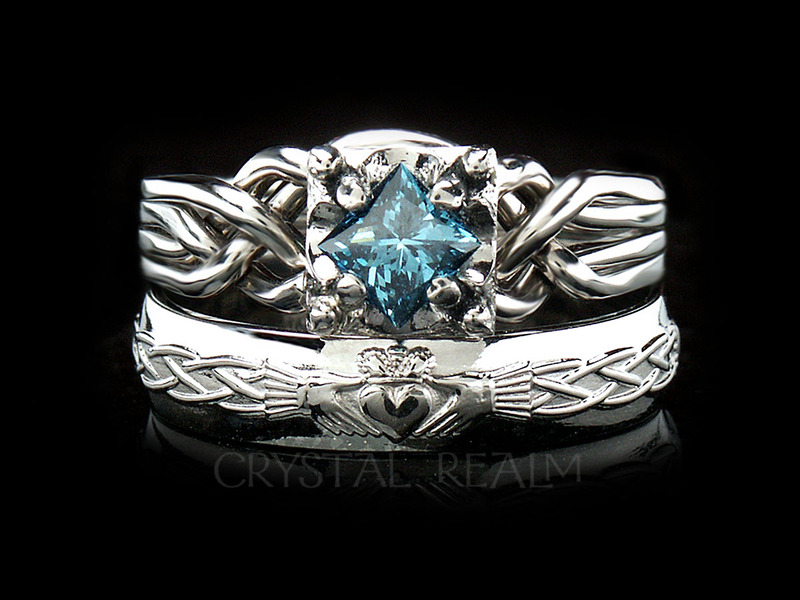 The claddagh band will arrive in the same time frame, and it may arrive in a separate package.